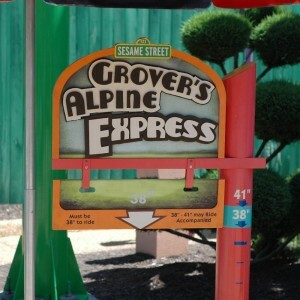 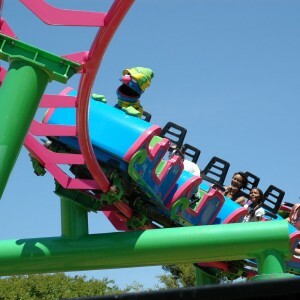 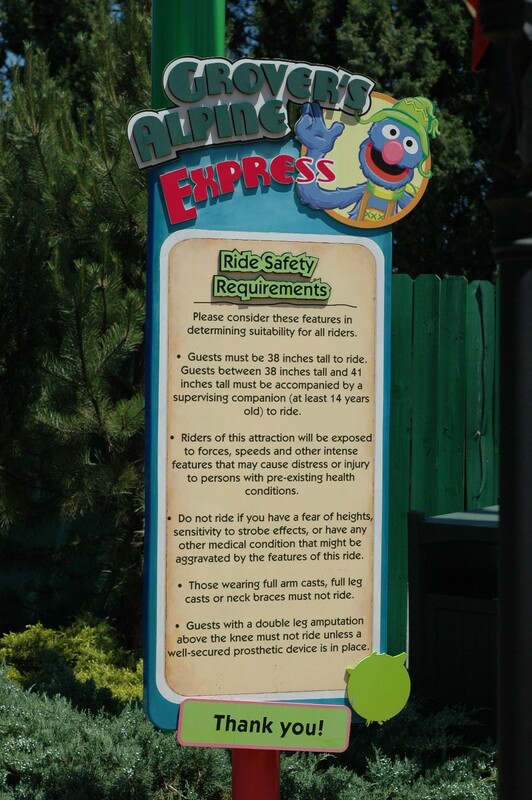 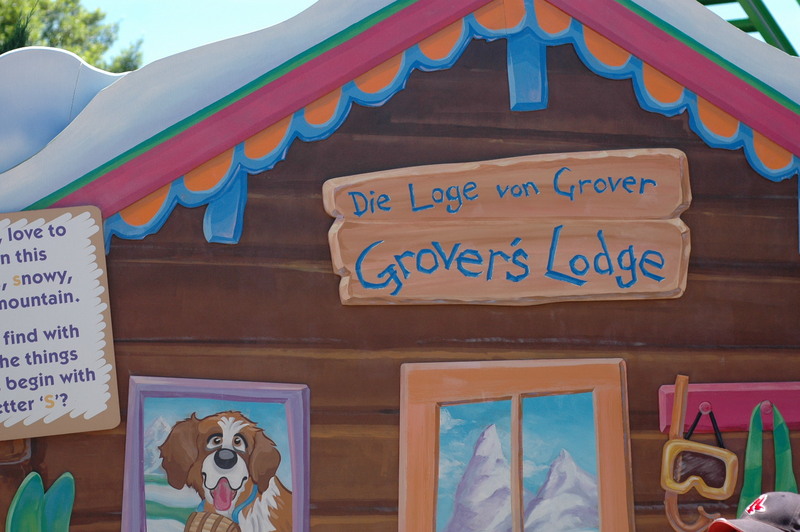 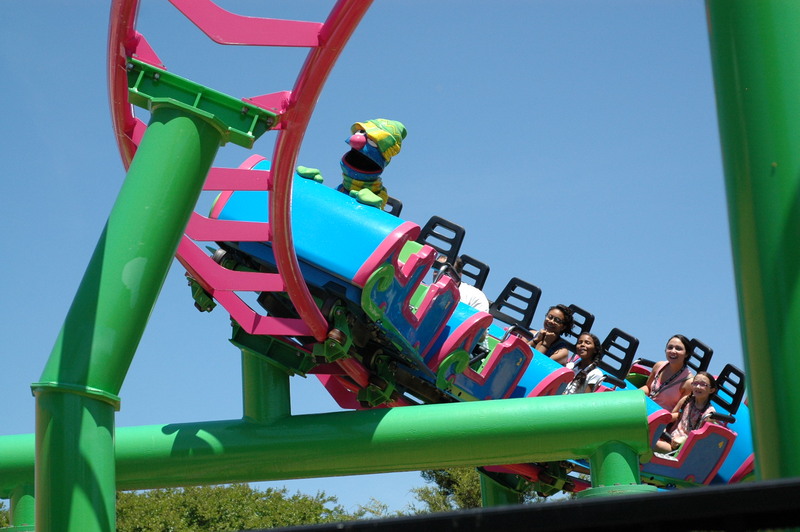 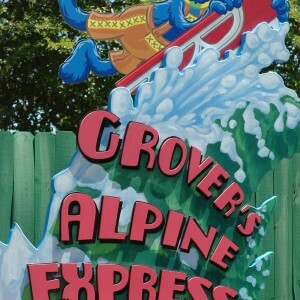 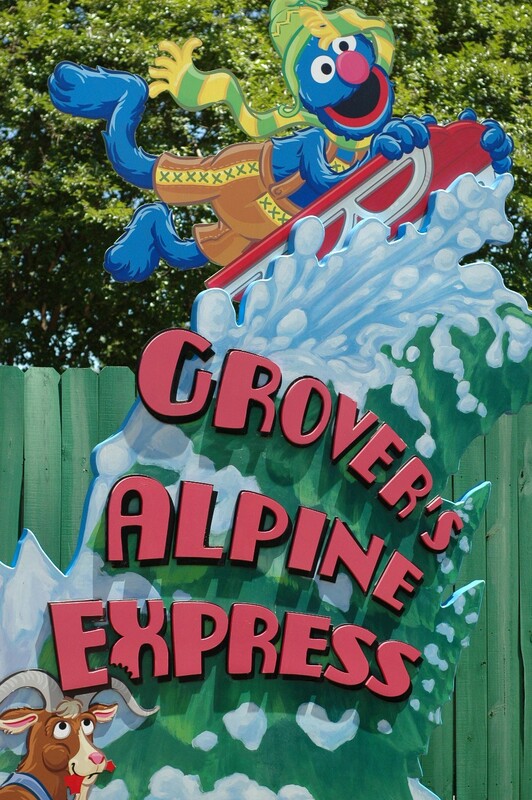 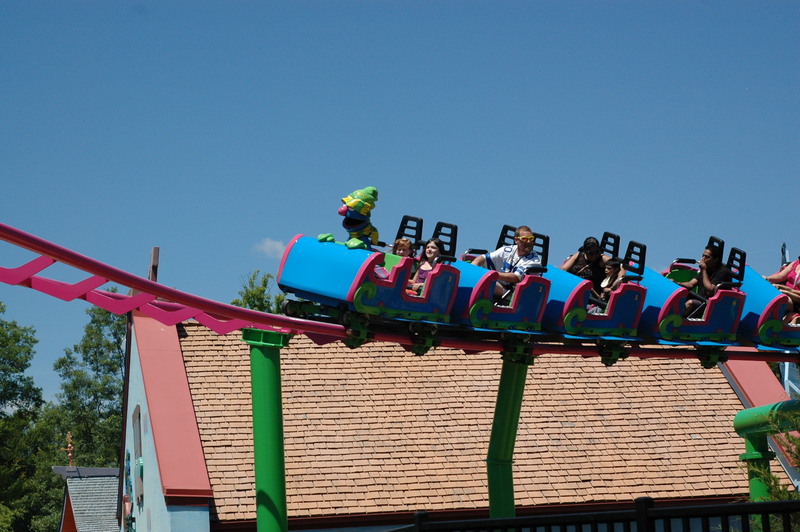 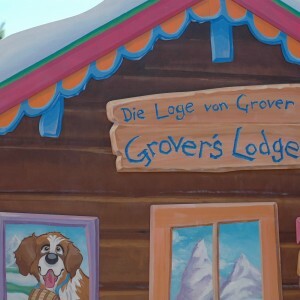 Grover’s Alpine Express is a children’s coaster that has a queue filled with fun and educational games for everyone. 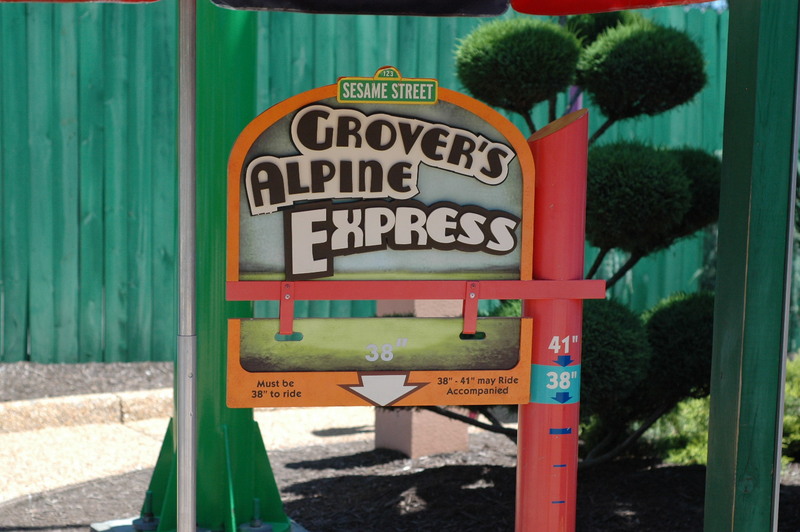 It goes to a height of 24 feet before taking you through 2 helices and back to the station, covering 600 ft of track. 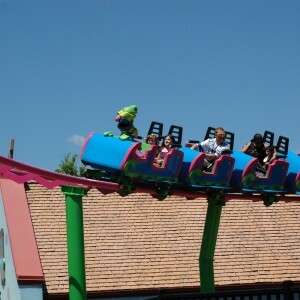 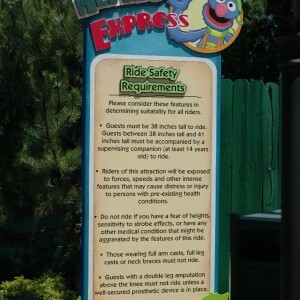 This ride has a normal lap bar restraint and most guests fit with no problem.